For July's Chicago Nerd Social Club book discussion, we talked about Lawrence M. Schoen's 2015 novel "Barsk: The Elephant's Graveyard". It's a science fiction tale told tens of thousands of years in the future--after baseline humanity is extinct, in fact. Their descendants are an interstellar community of uplifted mammals. 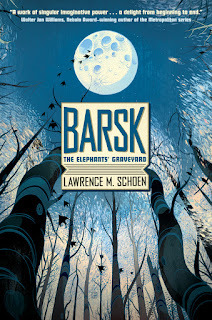 On Barsk, the only world populated by elephants, they have discovered a drug that allows telepathically-sensitive Speakers to communicate with the dead. We had moderate-to-mixed reviews on this one. We felt like it was written with "Dune in one hand, Animal Farm in the other." A few people thought it was a waste of reading time, but by and large the rest of us found it enjoyable, or at least inoffensive, on a page-by-page reading. Unfortunately, it falls apart on several levels once you think about it. "Prophecies made me do it!" The plot relies entirely on prophecy as a motivation, which feels lazy and/or nonsensical at many points. The "psi" abilities here (there's at least 3--telepathy, Speaking, and precognition) are used in lieu of having a credible actual plot or character motivations, which got tiring fast. I found this particularly unconvincing for our moustache-twirling villain, Senator Bish, who is willing to commit genocide because "ludicrously vague precognition plus even more ludicrously vague utilitarian calculus". There's plenty of other absent-or-nonsensical motivations to be had, though, free of fore-telling. Arlo's suicide, for one: a scientist, also a loving spouse and parent, chooses to kill himself (insanely painfully, not particularly quickly, BTW), to hide a discovery that 1.) anyone else could make at any time, and 2.) is a big discovery, but not one that has huge or apparent negative consequences (not a weapon etc. ), and also he knows that suicide doesn't take him out of circulation, knowledge-wise: HE STUDIES THE DRUG THAT ALLOWS THE DEAD TO BE QUESTIONED. a while back. "Is it SF" etc. Also: Jorl keeps the secret of humans and the history of all the uplifted mammals at the end because...? Because Schoen didn't want to write a novel in which anything actually changes? I don't mean to be harsh, but I think it's a telling fault. 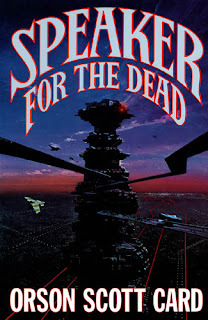 We raised the question "is this science fiction", half in jest--it clearly is at least on superficial markers--but I think there's a real point of contention possible here. Even setting aside the supreme handwaviness of the the "psi" type things going on here: science fiction, by one definition, is the literature of change, and so I'm always skeptical of "sci-fi" works that seek to avoid change, that view change as a dangerous intrusion to be addressed so that we can return to the status quo. 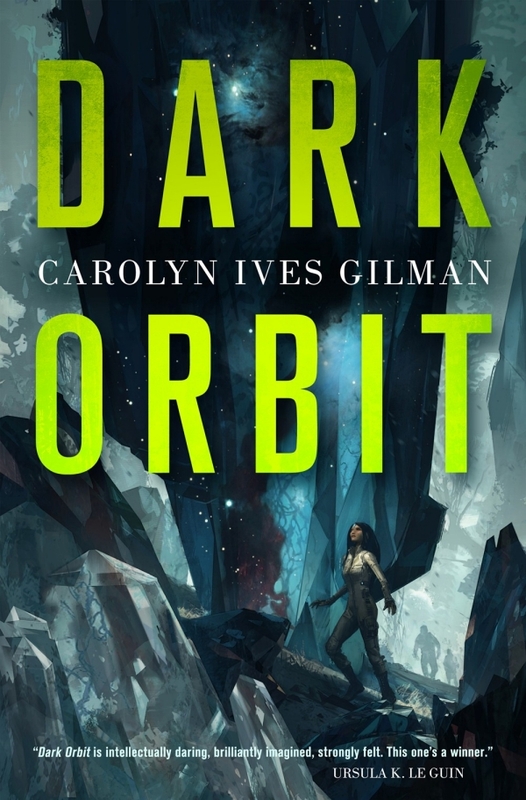 It's understandable when someone like Crichton does it--keeps a wacky, big-idea story bounded within the "real world" of the reader, and thus more approachable for many--but I don't get why Schoen does it at the end of "Barsk". We also noted how the prejudices in this society are not examined very critically by the book. We're not saying that irrational prejudice is unbelievable in a technologically advanced civilization, but the phobic behaviors here seem pretty weakly explained. All the other species' virulent hate for the elephants, for instance--and I don't know if the "racial but utterly repressed memory of killing off humans, who also don't have fur" explanation makes that more or less awful. I also found the elephant's treatment of the albino Pizlo kind of head-scratchy/face-palmy. "Hi, we're a scientifically advanced race who also have highly-developed senses of community and empathy. Whoops, that child's a different color, let's ignore him until he dies." Also we have to point out that the treatment of female characters here is pretty weak. We found Lirlowil the Otter poorly done all the way through, and then just forgotten about at the end, and other than her the Matriarch's...ghost...thing...is the only other developed female character. On a sentence-by-sentence level, the novel is at least fairly polished; while none of us were enraptured with the prose, it practically shines next to some others we've read. Only major gripes were the clumsily-executed infodumps and characterizations. LOTS of poorly-done as-you-know-Bobs. Idea-wise, we found the novel an odd mix of 1.) silly idea hand-waved into existence, but that's okay, 2.) okay, too silly, and 3.) big intriguing ideas WEIRDLY unexplored. Nefshons, the "memory-particles": pretty darn silly, but okay, we'll let it go...until suddenly Jorl is talking to a computer's memory-particle ghost-thing. That's a bit too much. Also, when Jorl goes all kwisatz haderich and erases Bish from all memories--a bit too much. 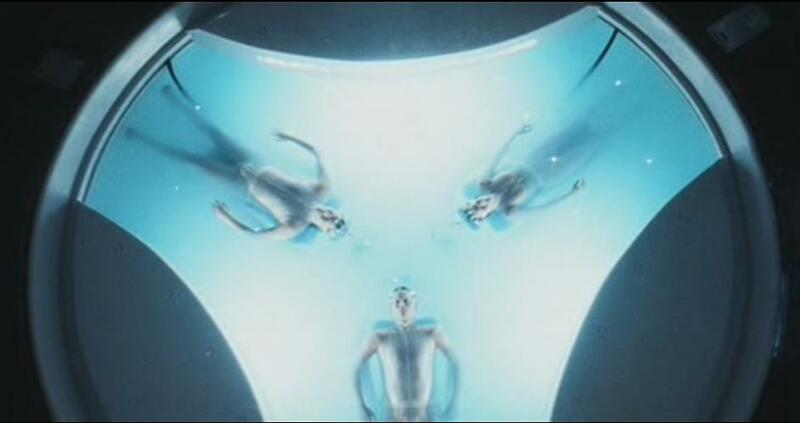 The nefshon idea also reminded me strongly of Orscon Scott Card's "philotes", a kind of hand-wavey particle theory that allows souls and FTL and other magic nonsense while keeping his "Ender" universe nominally science-fictional. We really felt like Schoen could have done a lot more with the uplifted premise. They felt more like anthropomorphic animals (the term "Furries" was tossed around) than actual non-human animals with enhanced intelligence. The elephants in particular feel like humans with masks on. They're arboreal, don't seem larger...all the species we encounter seem very one-note and very human-in-a-costume. Was reminded of a panel at Windycon last year where elephants were specifically mentioned as good non-human-intelligence material...not really developed in "Barsk". So: all the races are born genetically programmed to speak English. This is a huge, problematic idea, that could have led to some extremely interesting places, but all those possibilities and problems seem to have flown by Schoen--it seems like this point is brought up purely for convenience, rather than having translators of some kind. Also, last writing comment: a few of us were a bit irked by using the Latin abbreviation for the species, rather than just the species name. Doesn't add anything (and doesn't make sense in the pre-programmed English-speaking world), is confusing. Also, the "Fant" vs. "Lox" elephant thing was extremely confusing until one got to the glossary--both Asian and African elephants were uplifted. Which is then doubly confusing afterwards, because there are multiple species of many animals we have one common name for: 2 sloths, 11 badgers, 260 monkeys, 13 otters...just for instance. So are uplifted elephants the only ones with more than one species represented, or named separately, or just the only ones we hear about? 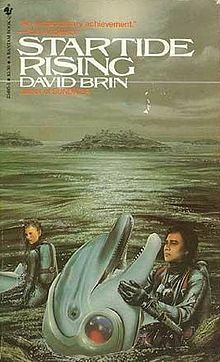 A few of us, including myself, made a strong pitch for David Brin's "Uplift" series if you're interested in reading more SF about animal and other non-human intelligence. Obviously, there's a long tradition here--back to Wells "The Island of Dr. Moreau" (1896), with lots of great examples in modern SF. Brin's series is focused heavily on the idea of uplift and different kinds of intelligence, though, and it's also rollicking space-opera if you're into that kind of thing. All in all, we found "Barsk" a mediocre but not atrocious read, one I think we liked a little less after discussing, unfortunately. We were left meditating on the idea of the flying elephant, though, and that's nice. Appropriate to end on flight, as next month's selection is Sofia Samatar's "The Winged Histories". And there was much rejoicing. Keep up with the Chicago Nerds on their website and Facebook group!